This beautiful story about sharing is a joy to read at Christmas or anytime throughout the year! Re-designed in celebration of 50 years of working with Bernadette Watts—one of Europe’s most recognized and beloved fairy-tale artists, this story is sure to win new fans as well as pleasing existing ones! Martin, a Russian shoemaker, wishes to meet Jesus. Instead he finds three strangers in need. After showing kindness towards each one, Martin learns that it was Jesus who visited him three times. 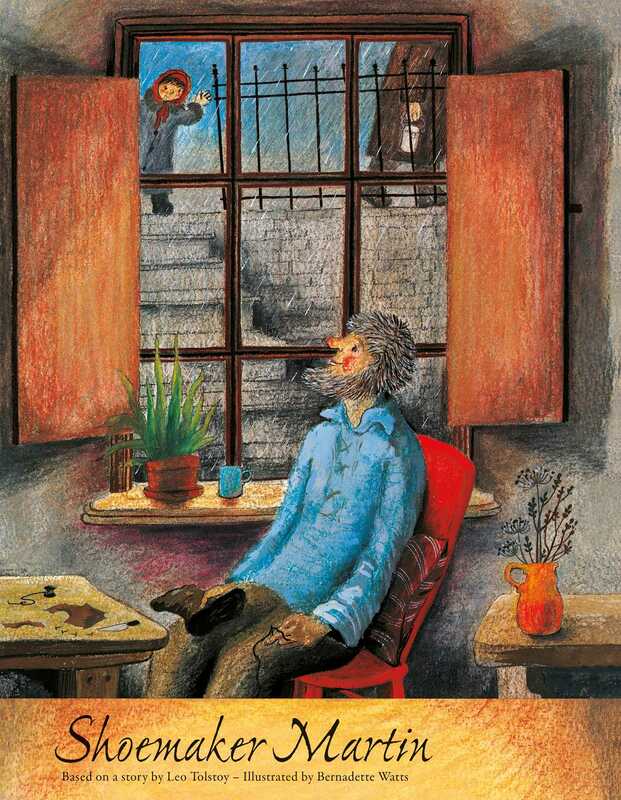 Written by Leo Tolstoy and illustrated by one of Europe's most beloved illustrators, Bernadette Watts, this story of compassion is as relevant today as when it was first conceived. Leo Tolstoy was born in 1928 in Yasnaya Polyana, Tula Province, Russia, into a family of the old nobility. His best-known works include War and Peace, Anna Karenina, and Resurrection. During the Revolution of 1905, he came out on the side of the Russian peasantry, but in accordance with his doctrine, he categorically opposed revolutionary violence. He died in 1910. Bernadette Watts, known throughout Europe simply as Bernadette, has illustrated many dozens of folk- and fairy tales. Born in England, she loved to draw from childhood. She studied at the Maidstone Art School in Kent, UK for a time under the tutelage of Brian Wildsmith. Bernadette’s many beautiful books include The Snow Queen and The Bremen Town Musicians. Bernadette finds her inspiration in nature. Today she lives and works in Kent. She has been illustrating for NorthSouth Books and NordSüd Verlag since the beginning of her career 50 years ago.